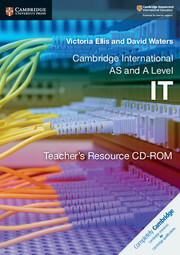 This teacher’s resource offers planning support to teachers delivering the Cambridge International AS and A Level IT syllabus (9626). 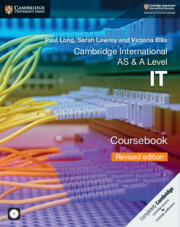 It contains lesson plans with suggestions for exercises and homework assignments, along with a detailed bibliography of further reading and practice exam-style papers with mark schemes. 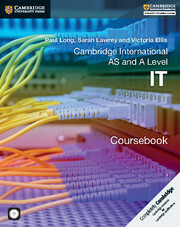 Detailed and clear support for teachers when teaching alongside the Cambridge University Press International AS and A Level IT Coursebook. Lesson plans to help give teachers ideas on how to deliver the course and suggestions for appropriate activities over the course.